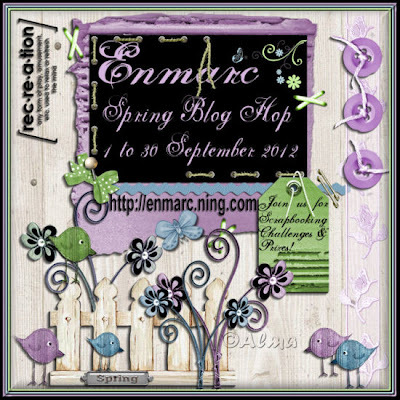 I'm so happy that you have decided to join us for the Enmarc Spring 2012 Blog Hop! For those of you who are new to the site, Enmarc is a relatively new Social Network where a wonderful group of scrapbookers encourage and motivate each other in our love for scrapping! New sketches are posted once a challenge is finished and sample Layouts are uploaded by members to provide inspiration to all. Enmarc sponsors all the challenges where you can win an awesome prize for each challenge entered. Our forum contains Tutorials, Tips & Tricks and General Discussions. We believe we have one of the friendliest communities of scrappers on the web, and are so glad that you have decided to check us out during our blog hop! The Enmarc Spring 2012 Blog Hop starts Saturday 1st September 2012 and runs until 11:59 pm South African time on Sunday 30th September 2012. That’s right it runs for a whole month. There are 8 Design Team, Contributing Design Team members and Administrators from Enmarc hosting the blog hop. They will each have a Challenge for you to do and a prize that you can win. Also some of the hosts of the group do not have a Blog, but their challenges will be posted together with all the other challenges on the Enmarc Social Site as well as on their Facebook pages, so make sure you befriend them on Facebook. On every blog in the hop you must become a follower and leave a little love (a comment) for the host. So..... my challenge to you is to create a layout with at least 1 square, 1 circle and 1 triangle shape on your page. You are allowed to use more than 1 of any of the shapes. These 3 shapes must be CLEARLY VISIBLE ON YOUR LAYOUT! YOU CAN CREATE A SINGLE PAGE OR DOUBLE PAGE LAYOUT. 1. Be sure that you use at least TWO Enmarc whiteboard/chipboard products and name them in the comment section when you post your layout to the gallery. 2. Please leave me a comment here on my blog and tell me who your scrapping idol is!! 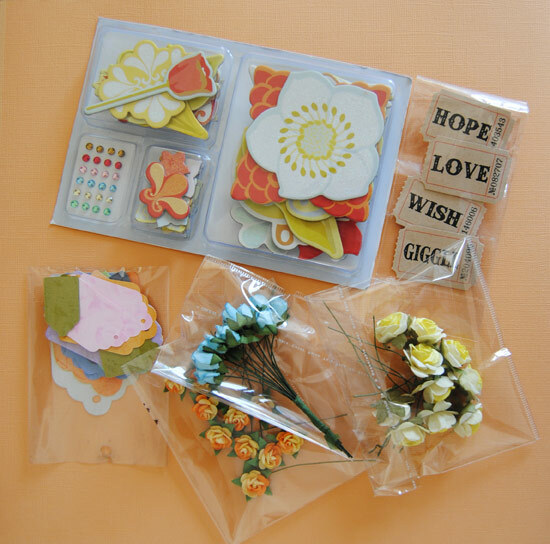 I love to find new inspiration, so look forward to hearing about new talented scrappy gals! 3. Upload a photo of your layout/project to the Enmarc Gallery : HERE!! 4. You must tag your layout correctly in order for it to be entered into the challenge. For my challenge, my tag would be: SPR2012,CH6. NO space between SPR and 2012, separated by a comma and then the challenge number with no space either. Here is the prize up am offering up as my RAK. The next stop is – Wilna's blog!!!! Thank you so much for taking the time to visit me here at my blog, I really hope you have enjoyed your time here, and that you will have fun playing along with us on this fun Blog Hop. I look forward to seeing your pages based on my challenge in the Enmarc gallery!!! Such a super layout Rene! Love it! 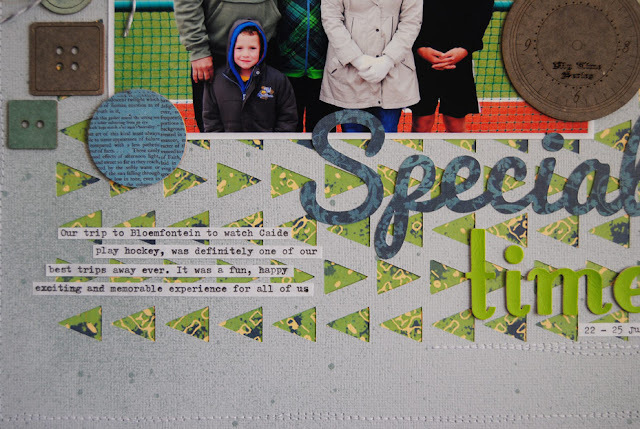 This is a really nice challenge and will definitely get my hands creating on this one! Have a super day! A nice challenge that is probably going to do my head in, but will try! Thank you so much. I must say I have never scrapped all those shapes together, or have I and not noticed. Will have to check all my albums. I don't have one scrapping Idol but here are three people who inspire me...I wish my layouts looked half as good as theirs. 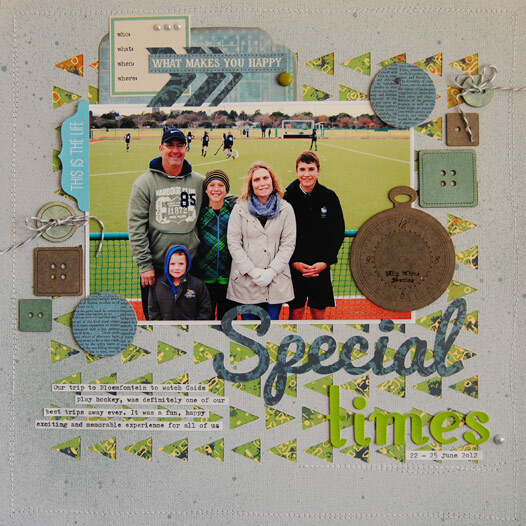 Hi Rene, It is good to be on a DT together again, my favourite scrapper has be Gabriella Pollocco from such a pretty mess. Your challenge is going to challenge me as I loath circles. Great challenge. I have never scraped with just shapes in mind. Will give it a try. I am so sure I left a comment right in the beginning of the Spring Blog Hop, but either I did not do so or it disappeared LOL! 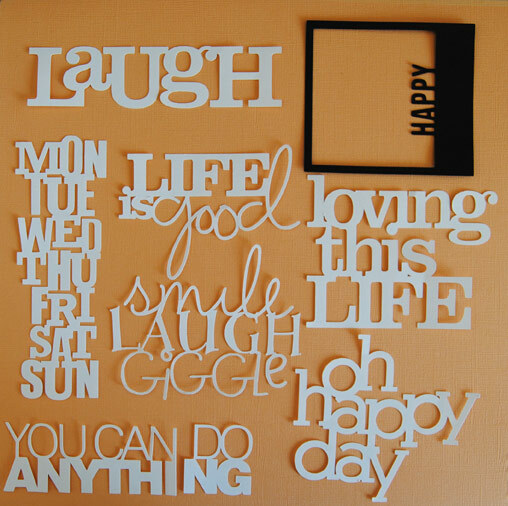 Anyway, Thank you so much for hosting one of the Blog Hop Challenges René! I really enjoyed the challenge very much!